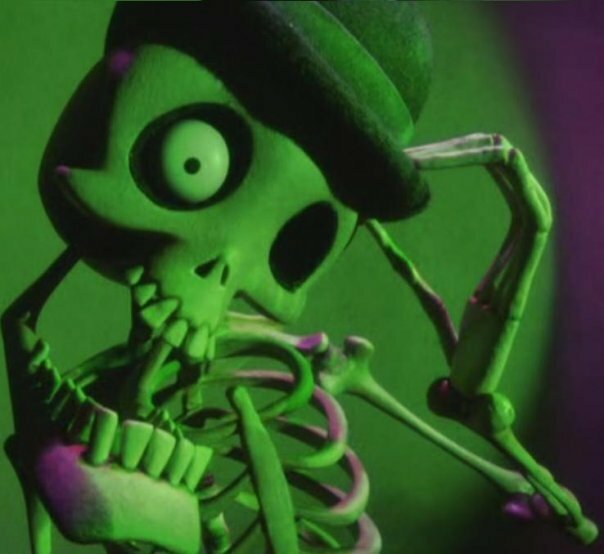 Tim Burton almost single-handedly revitalized the use of stop-motion animation after a long dormant period following the classic Rankin/Bass specials such as "Rudolph the Red-Nosed Reindeer" and "Santa Claus is Comin' to Town." 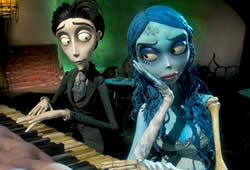 "The Corpse Bride" (2005) from Warner Bros. continued that effort. 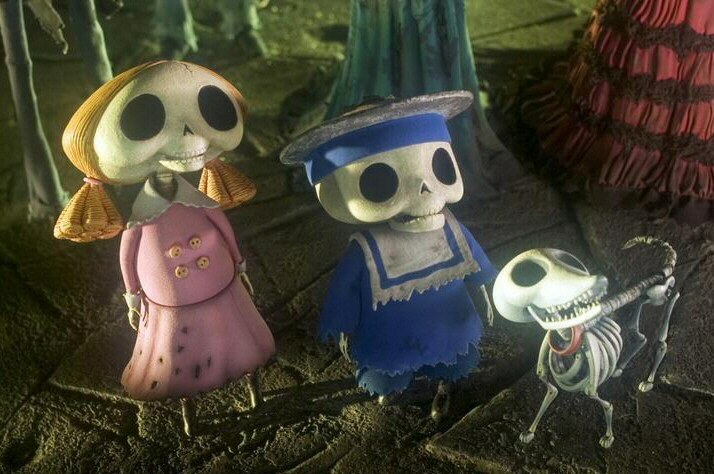 Like "The Nightmare Before Christmas," this film was a big financial success and paved the way for further films in the genre like "Coraline." Here, for the first time, Burton actually directs (with Mike Johnson) a stop-motion film, and he shows a sure hand and deft touch using standard Canon digital cameras. 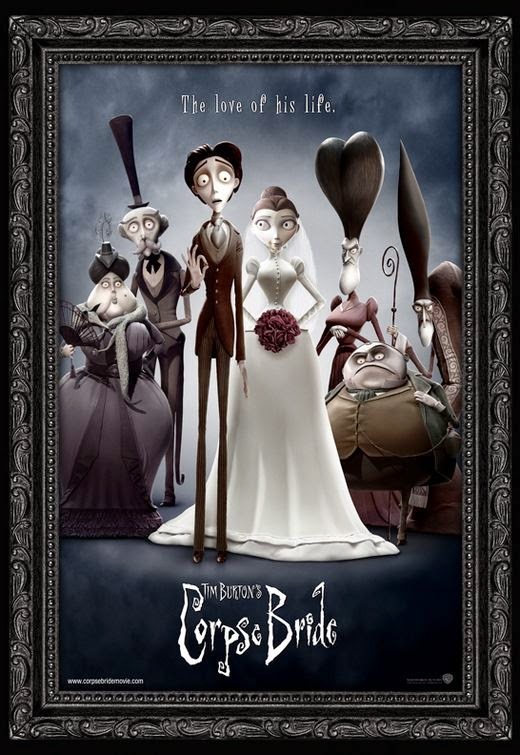 It is the Victorian era, and Victor Van Dort (Johnny Depp) and Victoria Everglot (Emily Watson) are about to be married. The union is beneficial to both families and has been arranged to benefit everyone but the couple themselves, who barely know each other. When they do get to know each other, though, they quickly fall in love. Victor messes up his wedding rehearsal and runs in shame to the forest, putting the wedding ring on a tree root as he practices his vows. 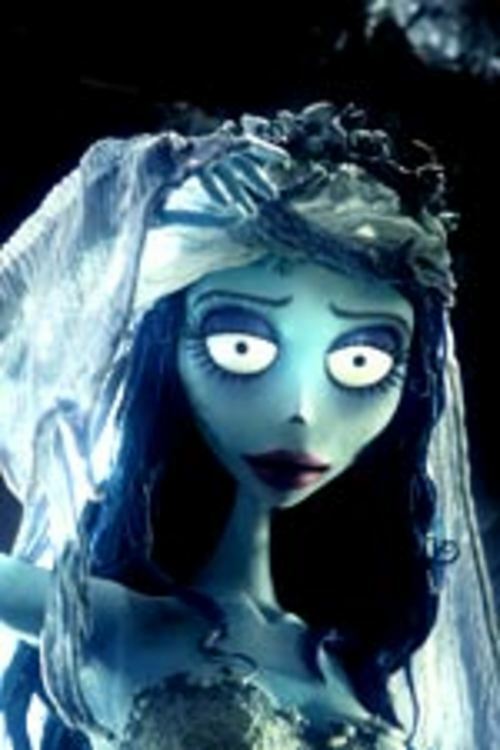 The root comes to life and transforms into the finger of a girl clad in an old wedding gown, who claims that placing the ring on her finger means they are married. 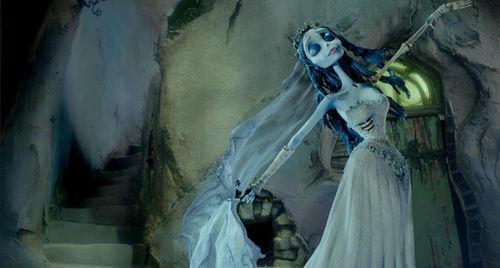 Victor is transported to the "Land of the Dead," where Victor learns that the girl, Emily (Helena Bonham Carter), was murdered while in the process of eloping. Victor doesn't want to stay and makes Emily take him back to his own world. He then finds Victoria, tells her what has happened, and asks her to marry him right away. Emily feels betrayed and takes Victor back to her world, while Victoria's parents don't believe her story and lock her away. They decide to marry her off to someone else, Lord Barkis Bittern (Richard E. Grant), but she pines for Victor. Victor and Emily reconcile, and Victor finds out about Victoria's new betrothal and decides that he might as well marry Emily instead. 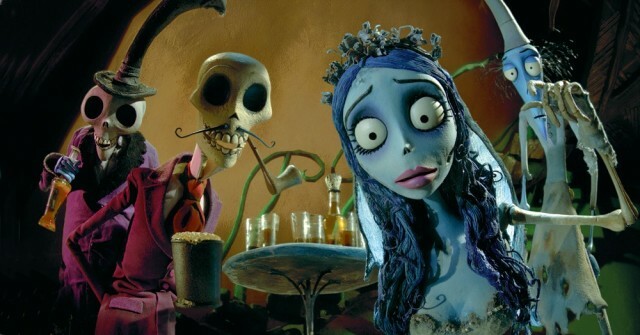 Emily now insists that Victor must return to the Land of the Living with her and marry her there, then drink poison so that they can be together forever in the Land of the Dead. Victor agrees, so they return to the Land of the Living with deceased members of the townspeople. The living and the dead have an initially awkward, but ultimately joyous, reunion. 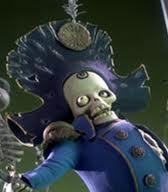 Welcome to the Land of the Dead! Victoria rejects Lord Barkis because he is only out for her money. She is hurt when she sees Victor about to be married to Emily. It turns out that Lord Barkis is Emily's former love, who murdered her for her money, and now he only is interested in Victoria for the same reason. Victor and Lord Barkis have a duel, and the fate of both men and the two women hangs in the balance. Lots of work went into this production. The plot is based on Jewish folklore, with a dash of Shakespeare's "Hamlet" thrown in, and is quite clever. 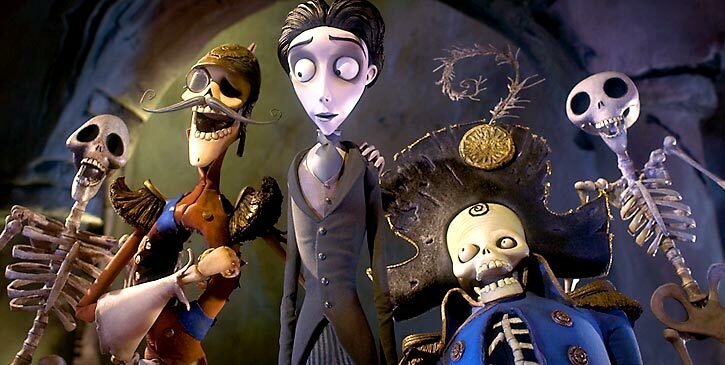 The set-up is perfect for Burton's creepy animated figures, and Danny Elfman once again provides suitably dark music to accompany the action. It took over a year to film, and the effort is shown in the extraordinary attention to detail throughout. The facial expressions are very realistic, and the realism extends down to a reflection in a tear drop. While you might think that this is only a dark, creepy story, it is more of a love story. 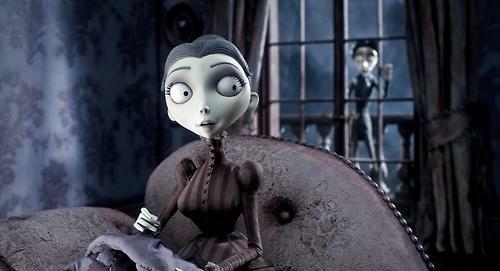 The set designs and costumes are Gothic and in that sense reflect Burton's earlier films such as "Batman" and "Beetlejuice," but the settings do not indicate the amount of heart and sincerity in this film. There are philosophical ruminations on the difference between life and death and the slight differences that sometimes exist between those states. The biggest drawback is that the plot is thin and is wrapped around a very simple conceit, that the living and dead inhabit separate but equal worlds which can interact pretty much at will. It is a one-joke environment that you either buy into or you don't. There are some really odd witticisms and bad puns based on that dichotomy ("Why go up there when people are dying to get down here" and "Can a heart still break once its stopped beating") that are corny and perhaps a bit precious but surprisingly effective in context. The film is dark, though, no question about it, and in more ways than one, with the living world filmed in shades of gray that make it seem deader than the Land of the Dead itself, which is lit in bright, creepy Halloween colors. You almost get the impression that the dead are happier, which, who knows, may have been the truth in Victorian times. It may not be the best choice for small children, who may take its scary themes a bit too literally. But some kids will love it, no question, so it is more a question of personal maturity levels than how chronologically old a child is. The film certainly seems directed more towards adults who know not to take its tropes literally than at children who may have nightmares about dead people coming back to life. Some fans really relate to the characters of this film, especially for some reason to Emily (Victoria gets a lot of grief from Emily fans for interfering with her union to Victor). 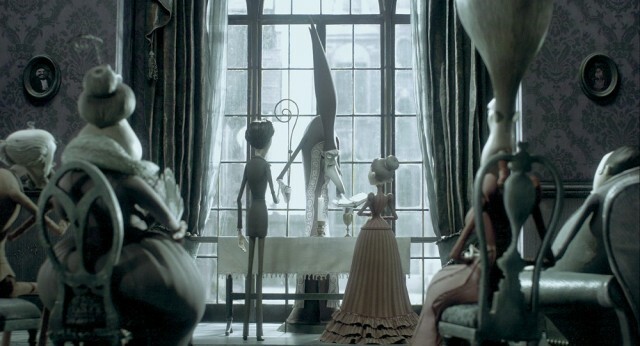 If you like this film, then you might want to follow it up with "Coraline," which has a similar look, albeit with characters that are even creepier.